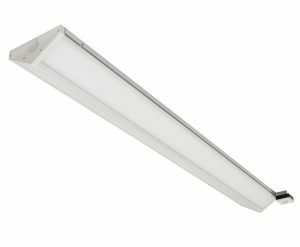 This is an extremely durable IP66 rated fixture with polycarbonate lens and body and stainless steel hardware. Since it can be hosed down, it is great for stalls. It can be suspended with aircraft cable or surface mounted. Available in 2’, 4’ or 8’ lengths and 4 different widths. This makes it great for any sized room. The Advantage series is perfect for any area where impact, dirt, and moisture are a concern. If your farm is open to the public, keep your parking lot safe and well-lit year round. 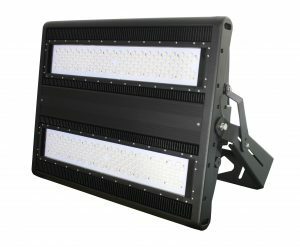 Install in any outdoor space where work is done after sunset to allow for more productivity. 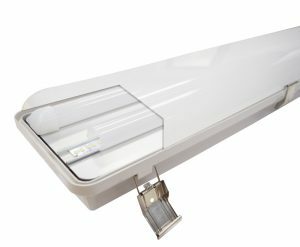 This impact resistant surface mount fixture is great for a number of agricultural applications. 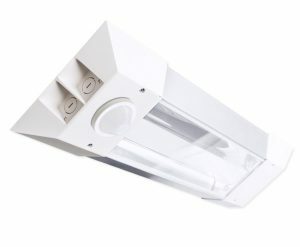 It can be used under an outdoor canopy or medium ceiling height room. 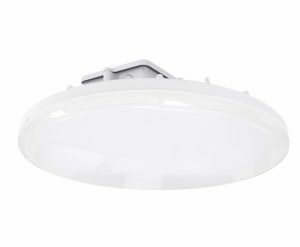 The polycarbonate lens and IP65 rating mean that impact, dirt and moisture will not affect the performance of this fixture. 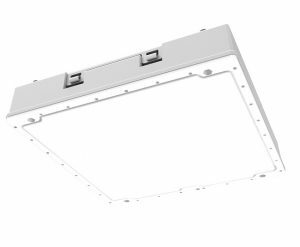 This is the ultimate highbay fixture for large barns with high ceilings and open spaces. The Phoenix has been installed in countless horse and livestock arenas, multi-use barns, and storage structures with great results. It’s perfect for areas where vertical space is limited, but a wide beam spread is required. The Razor should be installed in long, wide rooms where maximum clearance as well as protection from dirt and moisture are needed.